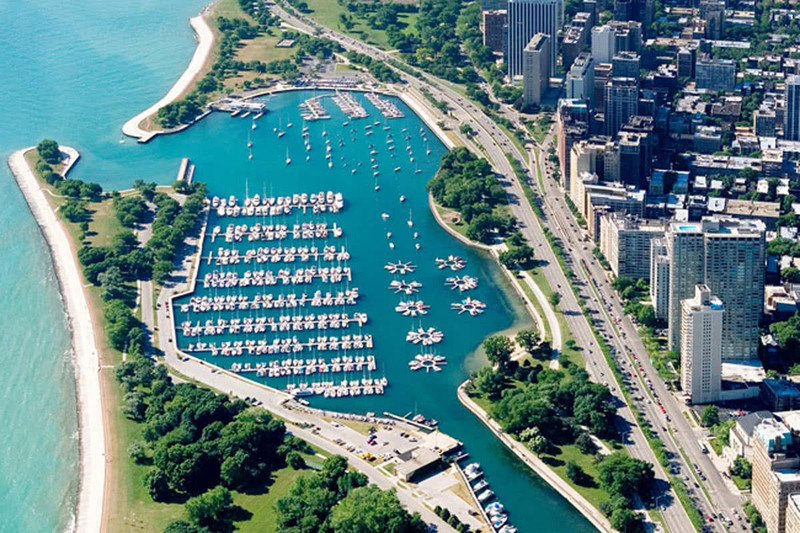 Along the shoreline of Chicago’s Lincoln Park lies Belmont Harbor. This charming marina provides Pinnacle members great dockage with quick access to the waters of Lake Michigan. Its location five miles north of down-town Chicago makes it exceptionally convenient for people who may live in the north side of the city and in the north-shore suburbs. Belmont Harbor is also home to the clubhouse extension of the Chicago Yacht Club.